A sense of tranquility pervades the composition. Personifying the stillness of inward reflection, his muse sits quiet and alone, pehaps meditating. 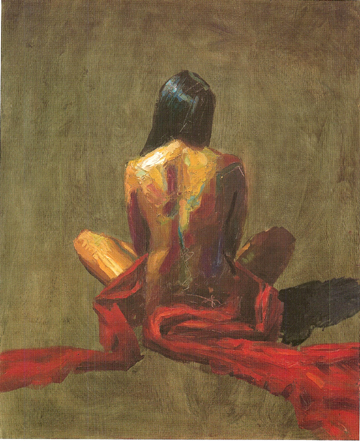 Her triangular pose suggests the 3-fold nature of the self: mind, body and spirit.